If you were lucky enough to be outside last night around 10:00 pm you may have witnessed this fireball meteor that flew over the midwest last night. The video was captured on a dashboard camera of a Howard County (Iowa) Sheriff Department cruiser. 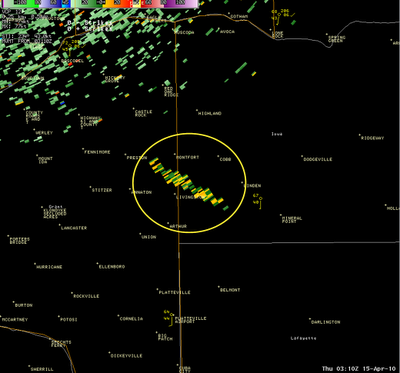 The meteor was also picked up on Doppler Radar out of LaCrosse WI. 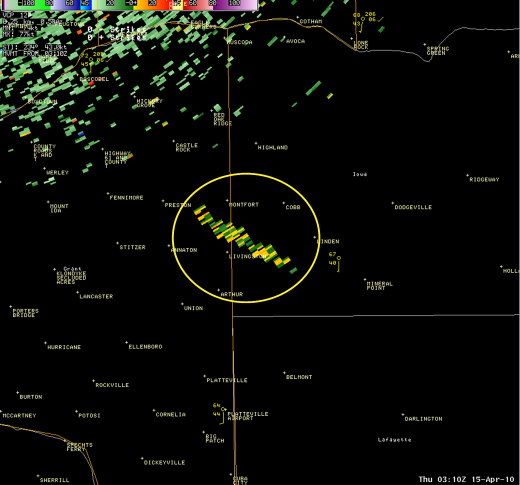 It shows up best looking at the storm relative motion view at 10:10 pm. This shows the meteor at a height of between 6000 and 12,000 feet. There were reports of sonic booms. The Twin Cities was cloudy at the time but people saw the meteor in Minnesota, Iowa, Wisconsin, Illinois and Missouri.